The supply chain community is buzzing over the trend of incorporating robots and automating logistics processes. Adapted from an article on Supply Chain 247, these are 7 key reasons why companies should consider using robots in the warehouse. According to an article by Deloitte on Using autonomous robots to drive supply chain innovation, implementation of autonomous robots primarily boosts value by reducing direct and indirect operating costs and increasing revenue potential. Unlike their human counterparts, autonomous robots can work round the clock without feeling fatigued. In highly hazardous environments, replacing human lives with robots will improve employee safety, thereby reducing significantly insurance and injury leave costs. With advanced collision avoidance capabilities, robots can zip past each other, humans, or other objects faster than you and I could react to potential accidental accidents. During peak holiday months, it can be a challenge to meet manpower demands especially if the work is temporary. Companies these days are turning to robots to improve operations and meet seasonal labour demands. According to the Deloitte report, some have even turned to robots to quickly train temporary workers such that they are able to add value with as little as 48 hours of training. Autonomous robots used in material handling or process-centric scenarios eliminate errors made by humans and improve reliability of cycle times that helps increase customer loyalty and boost sales. 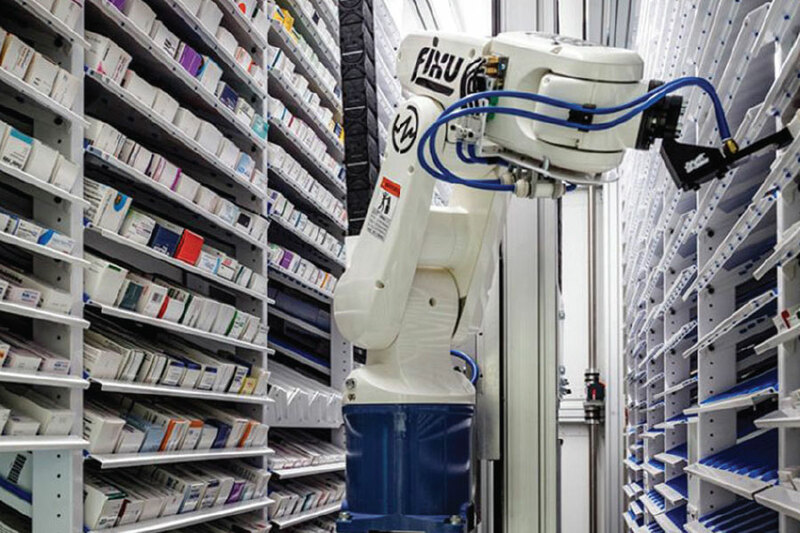 Humans can work directly with collaborative robots (a.k.a co-bots), training them with programmable movements and handling material and sorting packages side by side with them. Autonomous robots can be used for a multitude of things – from testing, picking, packing sorting and building to inspecting, counting and transporting materials. Another example cited in the article is the use of drone technology combined with autonomous navigation and artificial intelligence in checking inventory levels and enabling organisations to move inventory faster throughout the supply chain. As automative technologies continue to advance and improve, one can expect more benefits to be added to this list. Perhaps these seven good arguments will could swing your decision to include automation in your logistics processes in the future.